In remote Cape York, Lee and his wife Rachel get stuck into a bunch of shallow water barramundi on lures and then kick back for some fast action casting live baits for some big mangrove jack! 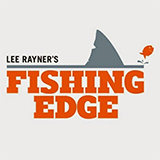 Fishing Edge was broadcast on One at Sunday 10 February 2019, 17:06. 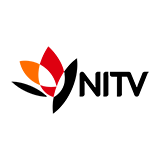 Fishing Edge is a TV show on Australian national television from One with an average rating of 3.5 stars by TVCatchUpAustralia.com's visitors. We have 100 episodes of Fishing Edge in our archive. The first episode of Fishing Edge was broadcast in April, 2019. Did you miss an episode of Fishing Edge but don't you wan't that to happen in the future? Please set an alarm and add Fishing Edge to your favourites, so we can remind you by email when there's a new episode available to watch. Completely free: handy!